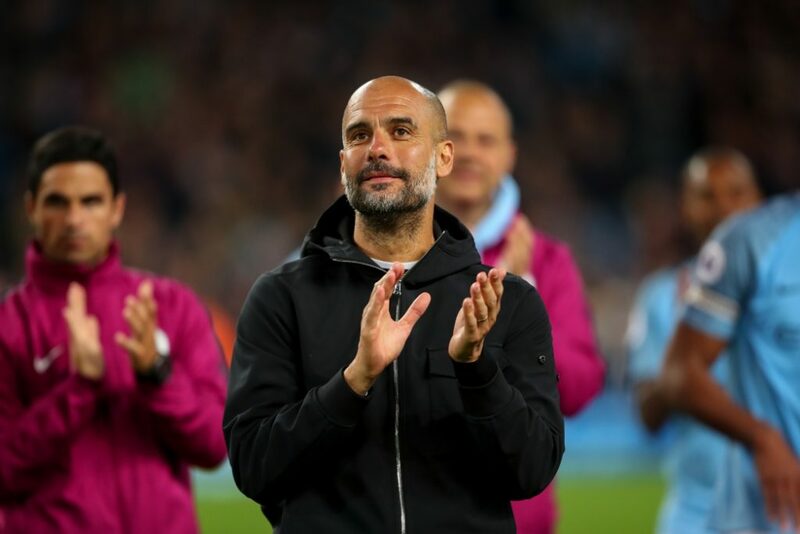 Injury-hit Manchester City have just 15 senior players fit for Wednesday’s Champions League tie against Hoffenheim, boss Pep Guardiola revealed on Tuesday. David Silva and Fernandinho have joined an injury list at Man City that already featured Sergio Aguero, Kevin De Bruyne, Danilo, Benjamin Mendy and Claudio Bravo. “We have 15 players available so I cannot do too much,” Guardiola told reporters when asked if he would make changes against Hoffenheim. City are already through to the Champions League last 16, but they need at least a point to be sure of finishing as Group F winners, which could ensure an easier draw in the first knockout round. Guardiola’s injury problems come after City suffered their first Premier League defeat of the season at Chelsea on Saturday, a setback that saw Liverpool move above them into top spot in the table. Spanish midfielder Silva was substituted at Chelsea with a hamstring injury and Guardiola said he faces “a few weeks” out. Argentina forward Aguero, who has missed three games with a groin problem, could return to face Everton on Saturday.